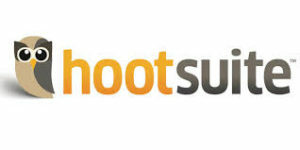 I received a notice from HootSuite which is a tool I use for scheduling social media posts. They are an official Facebook Partner. HootSuite will no longer allow me to make a post to a personal Facebook profile. So I can make a post and schedule it to any other social media platform. I can schedule to Facebook business pages or groups. But I can’t post to a personal profile. Why? Facebook is tightening up on people who use personal profiles for business. It has always been against their rules. But since January when the new algorithm came out, they are watching personal profiles more closely. Having HooSuite block personal profile posts is one more step. PLEASE! Stop making business posts on your personal profile now! Set up a FB business page and use it to promote your business. I know it sometimes seems harder to make a business page work for you. But you need to abide by Facebook’s rules or they will shut down your personal profile. They can turn you off with no notice, with no recourse. You can send complaints and requests to be reinstated but who knows if you’ll get an answer. Join my Friday Free-For-All call to ask your questions. Share the post "The End of Using Your Facebook Personal Profile for Business"